When looking for the best vacuum for tile floors, you want to choose a vacuum that actually picks up the dirt and dust rather than just blows it around. You also want a vacuum that makes it easy to vacuum under and around furniture, and that won’t scratch those tiles. For over 130 years as a family owned business, Bissell has been making quality cleaning products for the home. Bissell vacuums have earned a good reputation, and the Bissell Power Edge Pet Hard Floor Vacuum is a good choice for those consumers looking for a good vacuum for their tile floor. The Bissell Power Edge Pet Hard Floor Vacuum is a somewhat odd looking vacuum with it’s V shaped head. But this head is designed to get that dust and dirt close to the wall, and to keep larger pieces of debris in the middle of the head where the most powerful suction is located. The clear body allows you watch the dirt enter the vacuum. Reviews for this Bissell Power Edge Vacuum are quite good, with most customers liking the way this vacuum functions. However, you do need to be aware that several people have had some difficulty with the handle on this vacuum breaking. While some customers experienced problems with the Bissell Power Edge Vacuum, other customers were more than happy with their purchase and felt it met their needs. The Hoover Vacuum company got its start when a janitor by the name of Murray Spangler found sweeping floors aggravated his asthma. Looking for a way to perform his job and breathe easier, the inventive Mr. Spangler took some odds and ends and created a device what would later become a vacuum. Since that time, the Hoover name has been associated with quality and popular vacuums. The Hoover Corded Cyclonic Stick Vacuum is no exception. The Hoover Corded Cyclonic Stick Vacuum’s small size makes it easy to store, and it’s light weight should make it easier to take out to clean up both large and small messes. In most cases, people with tile and hardwood floors simply don’t need a large heavyweight vacuum cleaner. There are a few minor complaints regarding this Hoover vacuum. Some customers worry that since this vacuum uses a lot of plastic, it may not last as long as customers would like, though no one mentioned any problems of breakage. The other minor complaint is that some customers wish the cord had an automatic rewind, but agree that even without it, the vacuum works well and is worth the price. The Sanitaire Company is best known for creating products to help commercial cleaners get those homes and offices as clean as a whistle, while saving time and energy. The Sanitaire Detail Cleaning Commercial Vacuum SC3683A is the ideal cleaning tool for bare floors, carpets, furniture, drapes and more. 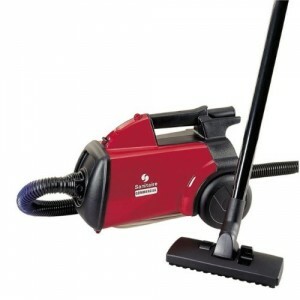 The Sanitaire Detail Vacuum seems to lack the sturdy looks most people expect from a commercial vacuum. No doubt the plastic parts on so much of the vacuum is deliberate, to make the vacuum light enough in weight to tote up and down stairs. Reviews for the Sanitaire Detail Cleaning Commercial Vacuum are good. While most customers like this vacuum and the way it performs, there are some customers who do raise some concerns that consumers should be aware of. First, several customers state that when you use the wand and other tools, suction seems to diminish a good deal. Another common complaint seems to be that the attachments simply don’t seem to stay in place and keep falling off. Overall, despite the problems experienced by some customers, the Sanitaire Detail Cleaning Commercial Vacuum SC3683A met the expectations and needs of the majority of customers. 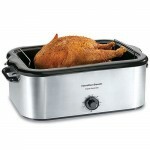 Shark is a brand of Euro-Pro LLC and a maker of small household appliances. The Shark Navigator Elite Professional Vacuum Or Steam Rotator MV3010 is a 2-in-1 appliance that offers both a vacuum and a handy steam cleaner in one appliance. The Shark Vac/Steamer is a nice looking small appliance that should store easily in just about any closet or corner. The handle of this cleaner makes for an easy grip and steering. Reviews for the Shark 2-in1 Vacuum are quite good. The most common complaint regarding this vacuum seems to be that the steam cleaner, which is designed for hard floors only, leaves streaks. However, one customer did say that the streaks left behind could be due to floor cleaning products previously used on your hard floors, and that cleaning the floor two or three times to remove all the previous residue will solve the problem. Finding the best vacuum for tile floors can make short work of your household cleaning while saving you time and energy to do other things that you enjoy.